How NOT To Paint Your Home in just 14 Easy Steps! Notice that your walls in the living room seem just a tad dirty . 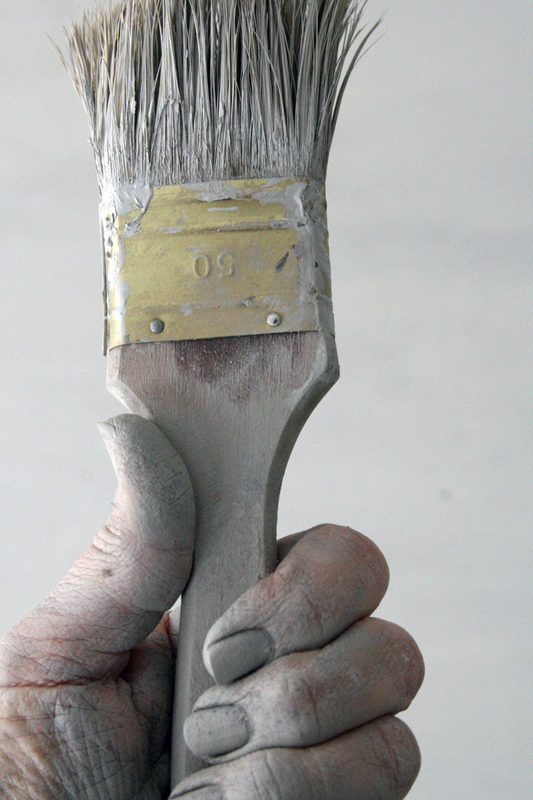 . . rather than scrubbing them, think that a fresh coat of paint will be much easier. Gray is very fashionable these days. Briefly wonder if it’s spelled gray or grey? Remind yourself you were a math major and it doesn’t matter. Yes, gray/grey paint is the answer, even though you’ve forgotten the question. Go to the home improvement store and look at swatches. Thousands of little colored paper strips. Hold each one up to the light and ask yourself, “Is this a true gray? Or might it have a little lavender hue to it?” Take the professional’s advice and purchase sample cans of your top five favorites to try in your actual home. Think again about washing your walls. Actually get the cleanser and rags out. Decide painting is definitely the easier way to go. Paint about fifty brush strokes in several areas of the house and step back to survey your work. Get confused. Nod your head as you now understand how the author of “Fifty Shades of Gray” became a billionaire simply because she once had filthy walls. Look at the freshly painted areas after sundown with the lamps on in your home and feel a little spooked. These cannot possibly be the same colors you painted on your walls just a mere four hours earlier in daylight, can they? Some look green tinged, some look blue tinged and you could swear one has turned an ominous dark brown totally all by itself. Recall the Poltergeist film and any Stephen King movies you’ve ever watched. Visibly shaken, telephone an interior decorator to come over for an emergency consultation. Listen to her explain that different grays can have warm and cool undertones — so if you’re not sure which way you want to proceed, why don’t you try greige? Give a nervous little giggle as she explains greige is a special combination of gray and beige that’s sweeping the nation. Drag out the box of your children’s Crayola crayons and fondly remember burnt sienna, lemon yellow, and forest green. Ahhh, much simpler times. Pour the decorator a nice glass of iced-tea as she mentions giving you a proposal. Feel flattered she likes you enough to want to set a date, but shouldn’t you discuss religion and children? After she leaves, stare at your walls again and vow they won’t win. Impulsively paint your entire living room stainless steel, tinfoil, charcoal graphite London fog gray instead of exercising at the gym. There! The walls are clean. And gray. Sort of. But the carpet (which used to be a nice, neutral taupe) now looks earth-toned. What is earth-toned anyhow? Sounds serious. Go to a flooring store. When one of the salespeople asks if you’ve considered berber with a loop, respond, “Yes, when I drink bourbon, I get loopy.” Notice your interior decorator has come into the store and is scowling at you conversing with these carpet people, as if you’ve committed adultery. The next morning, slip into your new bathtub, (which the interior decorator talked you into because she could CLEARLY see you have the perfect body to show it off!) — and relax, congratulating yourself on revitalizing your marriage. Until you notice that the walls in the bathroom seem just a tad dirty . . . Here are scenes from my real house below. Soon I won’t need to hire anyone to paint. It will be “Patchwork Gray” everywhere. ← Here’s Why You Should Never Google a Headache! And this is why I entrust all of these decisions to my decorator. Haha! 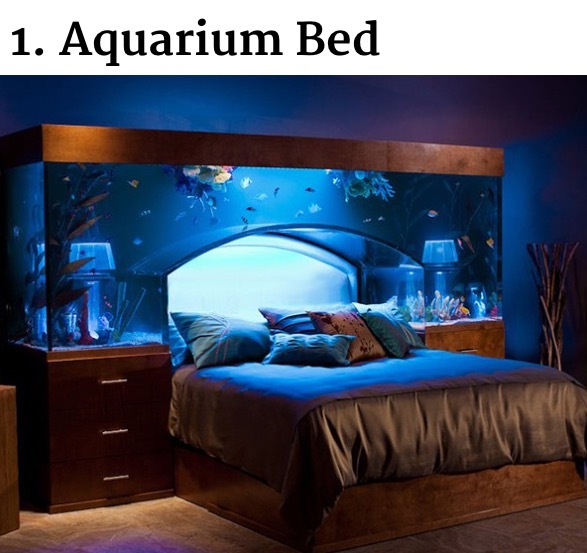 And I think that aquarium bed is a bit fishy. Oh, dear. Thanks for reminding me that the dining room needs painting. Assuming I can get the Beloved Spouse to go along with it. Tell hubby that a new color will change the taste of the food. ;-). Hey! Thanks for visiting me– lovely surprise. And never ever hang wallpaper. That is a horse of a different color meant to truly drive one insane. Better yet. Hire Tom Sawyer. He did an outstanding job with that white picket fence. “I have a haddock!” Definitely on the best 10 list! I suppose it can be quite a project and the near endless stream of change one thing leading to the other and so on. Pretty sure the author of “Fifty shades of Grey” got rich, not on paint but what went on in that room. 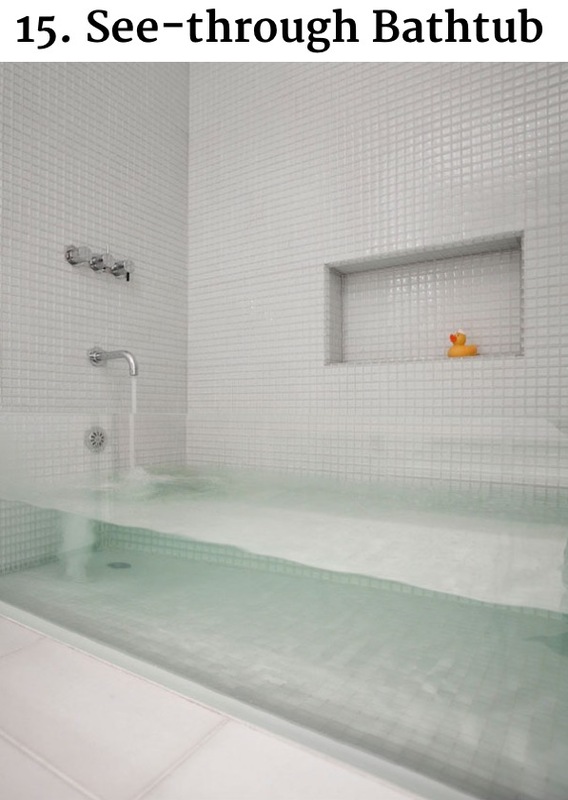 Like the see through tub. If you like the modern decco effect just use a rain-bird attached to the paint, it’s a little spotty but definitely unique. So funny and true! Been there and done that! So timely with this one Stephanie. Tell me, do you see into my mind or were we truly separated at birth? We are thinking about painting our apartment right now and I was considering a silvery gray (grey??) 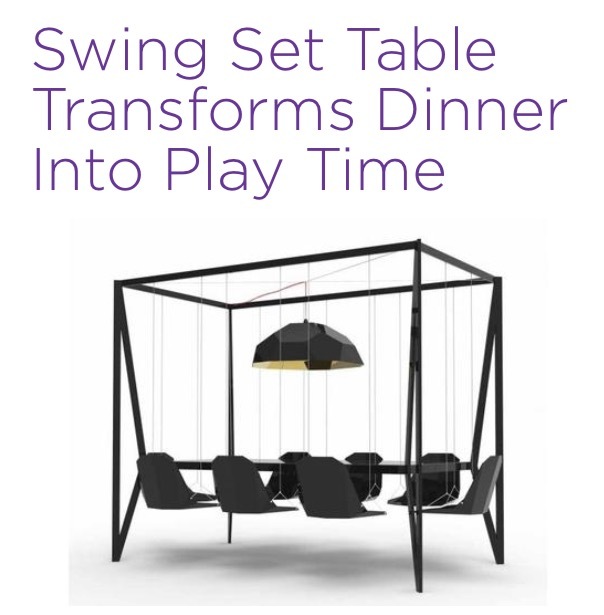 for the bedroom….but I think I changed my mind! !